As previously discussed, the roots of our club system are based on an amateur club structure in UK in the 1960’s. It is an excellent system that became extremely strong through the years of isolation. 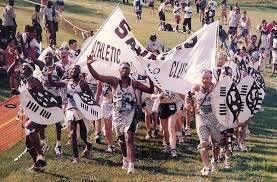 The clubs have been primarily responsible for growth of races and the sport. The innovation of year-round license numbers at that time saved the organizers (clubs) from printing and paying for numbers, and their use front and back is in line with IAAF rules. The introduction of Age tags was, and continues to be, another world leading innovation. This combination led, and continues in many ways to lead the world and is a massive strength particularly for rural clubs: No other country, (to my knowledge), can boast such a strong club structure. By 1980’s a temporary license system was introduced to allow people to ‘taste’ the sport without committing to a club. This was a ‘day pass’ and provided further growth. Commercial and sponsorship interests commenced as far back as mid 1970’s with Sanlaam, Lotto, Nedbank, Old Mutual and others buying the rights for the license number branding. 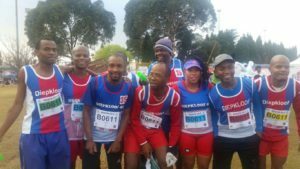 Comrades numbers were first sponsored by Pepsi at this time. Prize money entered in the 1980’s but was limited to R500 with only permit races allowed to offer more. In 1990’s as the country started to gain more international access, corporate sponsorship saw the introduction of club branding and retainers. 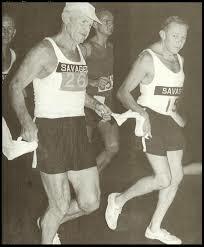 This prompted ASA to negotiate with the IAAF for a relaxation on the kit advertising rules for domestic events only. Prize money started to soar upwards for major events, but in real terms was still a fraction of international due to exchange rates. The mid 1990’s saw massive steps forward in technology including chip timing, easily managed data bases, and small portable computing. 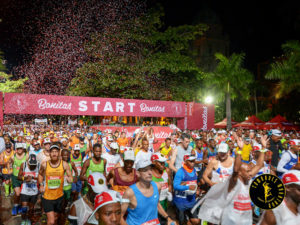 By example lets consider a club 42k / 21k 10k event with say 5000 runners overall and each runner being timed say between 2 and three times: The timing company will earn in excess of R120000 from that single event. On top of that will be admininstrative and number costs etc.. So these companies have an significant impact on the sport, and yet most are unaffiliated / or accountable to the sport. While all of these aspects have impacted on the way large events have been organized and the way on which top performers have been rewarded, the opening into international competition, a reduction in media coverage of local sport (in favour of previously restricted international coverage), a wider selection of mass participation sports (triathlon, trail running mass cycling, etc) has made local sponsorship less appealing at club level for medium and small events. Little has changed for the rural clubs. As with the country – The gap between the top and low end has simply grown apart, yet ironically the talent potential for the future exists in greater numbers at the small end of the scale. Clearly things have substantially changed from 1960’s to 2017, but the founding structure has remained the same. To date the rules have been amended to try to fit these massive changes while working within the 50 year old structure, when mobile phones, faxes, mails, chip timing, and professionalism had never been foreseen, and was even banned. Its equivalent to the little Dutch boy attempting to prevent a flood by putting his finger in a hole in a dam wall. The problem is that after 50 years the changes exceed the number of available fingers and that wall is going to (some will say has) break. That attracts commercialism and media coverage of the competitive aspects. Once the competitive structure is determined it automatically implies a total rewrite of the rules to utilize the new technology; to officiate the sport, and professionally run the administration. What follows is a starter viewpoint to share, but I’m patently aware it requires further detail, modification or could even be dismissed for a better option. It is therefore shared if for no other reason than to stimulate thought and is presented in a serious of short points to give a potential direction. 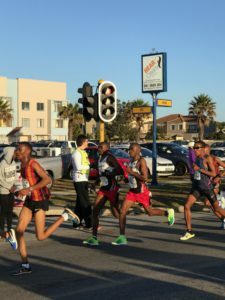 By example: a 50-year-old who will run as a participant in the Cape Marathon, but be a contender in his or her local 10km or marathon. 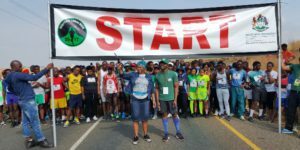 By definition these runners will also be licensed by their club as participants and domicile rule will be applied. 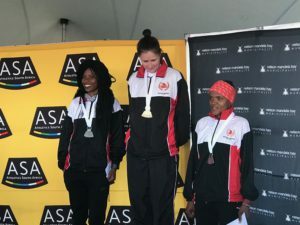 This license is a two-number situation (and different colour to a normal club license) to be worn front and back and comes with an IAAF and ASA rule book, national fixture list and notifications. The relevant age category will be a composite part of the race license. Participants are licensed through clubs and then to province in the normal way and domicile rule applies. The aim being to maintain the strength of club structure. 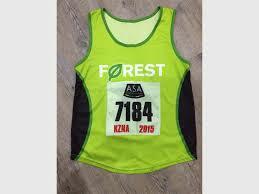 There will be only ONE number for participants which is worn on the front and is different colour to competitive. Age category tags will and do not need to apply. 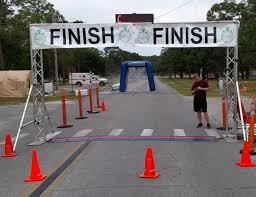 A participant – no matter where he / she finishes – may not win a performance prize. These may also have social or participation sections, but the pro/elite section is considered separate for administration of Podium Potential athletes. They are allowed agreed levels of branding on kit for domestic events. They have agreed levels of national media / broadcast exposure through ASA each year. There may be a club in each province or select provinces, but negotiations and expectations are set at ASA level. These clubs are sponsored / branded but do not wish the costs / responsibilities of Pro Elite clubs. They register with their province as a branded club. The branding on the vest is as agreed for domestic competition and MAY be required cover branding in International events depending on how local branding is configured. There may be a negotiated agreement on exposure with the provincial body depending on values etc. This is the unsupported community club as we understand it at present. The club is solely organized in the domicile province. It may have a – chapter in another province but each is independently run and the name has no commercial attachment. 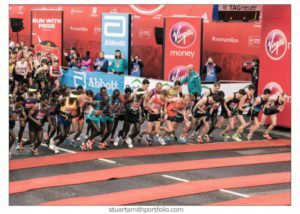 Nowadays there are many companies that supply resources or services into the sport, from marqee and scaffolding suppliers, timing companies, to technical, marketing and event consulting companies. Few of these are affliated to the sport, and so there is limited accountability to the sport for poor performance or adherence to rules and expectations. 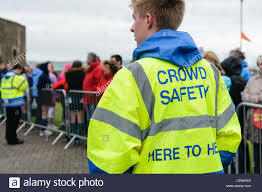 This is a dangerous situation when considering many aspects, such as disaster management, particularly given that events are weekend events where there is no realy service or support from say the Marquee or scaffold companies over this period. Where managing or representing athletes internationally the IAAF rule applies and overrides the need for local course and exam. There will be a direct contact person identified for national managers and consultants. Event organization is not a desirable component of their mandate. May have technical consultant for advice but not delegated organization. Limit (higher) on total prize money and top prizes. May have Race numbers if applied for. Club or Association or appointment of accredited event company under federation supervision. 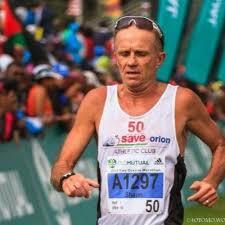 These events must meet all requirements of the permit A races plus those of the various associations involved. This outline provides a taste of a possible structure that could take the sport forward. The principles are easily applicable to all disciplines of the sport including ultra trail cross country track field etc. 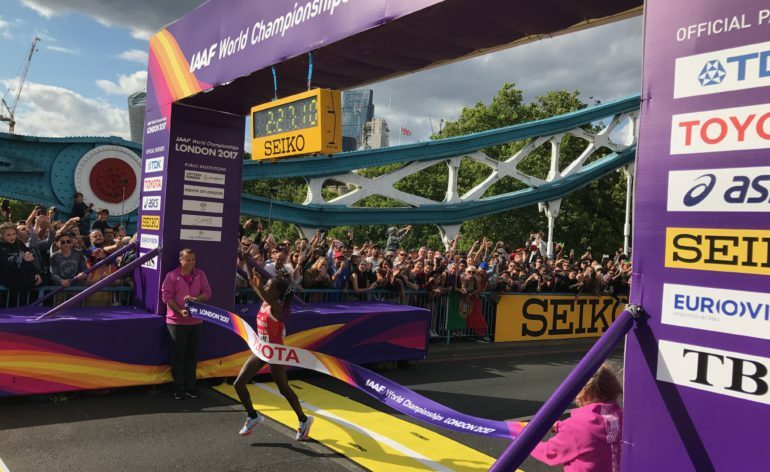 (keep in mind that the IAAF will be combining a number of commissions into one called ‘Running’ in the coming year. This will cover XC, Road, Mountain, Ultra, trail, etc. RSA will presumably do the same. 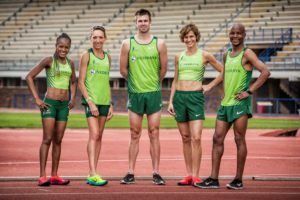 Track and field will follow similar principles for competitive levels. The rules and administrative structure that needs to be applied will become obvious as the above athlete, club and competitive structure is evolved. In other words design the admin to fit the needs, not the other way around which is the current error. The administrative and implemention must be on a professional manner. This then allows the policy and decision making structure to be based on a blend of amateur and professional representation which is likely to have to follow the new shape of the IAAF.